Normally I review a book within a couple of days of finishing it so that my memory is fresh. I prompt myself to write the review by leaving the finished book next to my computer (or in the case of eBooks I add them to a special folder with an alert on it). 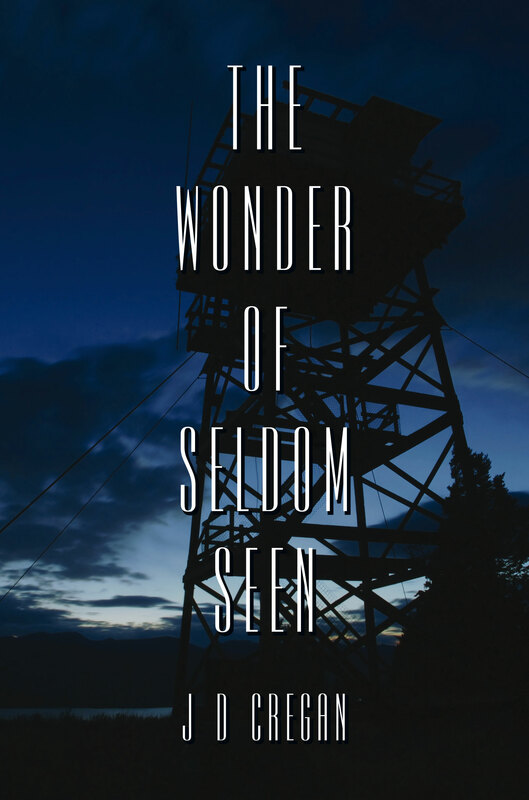 Unfortunately my method broke down with Western Australian author J D Cregan’s THE WONDER OF SELDOM SEEN because I finished it the day it was due back at the library and I returned it only moments after finishing it towards the end of July. I then promptly forgot all about writing a review. Which is a shame because I enjoyed it, and some elements were very good indeed. So this is an almost-review, cobbled together from the couple of scribbled notes I found this morning and my ailing memory. It tells the story of Miles Jordan, a Melbourne-based author who wrote an award-winning book some years earlier but has been unable to recreate his success. Now his marriage is over and he’s broke so Miles is leaving Melbourne, in his beat-up old car and with his trusty dog Roley by his side, for a new life. He doesn’t get too far before he is offered a job and a roof over his head at a Lakes Entrance caravan park. There he enters into an ill-advised affair with the park owner’s wife and when that scenario looks like it could be dangerous for both of them Miles again moves on, this time ending up in the tiny village of Seldom Seen in Victoria’s high country. While Miles starts to settle in his new surroundings he doesn’t know that he has become a suspect in a murder that took place back in Lakes Entrance but his past does end up catching up with him. One of the scribbled notes I wrote was that this is a book I would recommend to people who don’t (or who say they don’t) like crime fiction as it didn’t have a strong ‘crime-y’ feel to it. I don’t mean this as a criticism at all, just that the book mixes up the sub genres and is not a slave to the conventions of any. There were elements of the caper novel with Miles’ bumbling escapes from danger, a strand of the story involving an ASIO agent who has been demoted to ‘X-files’ investigator and another strand featuring an Irish hit man who could be doing ads for Tourism Australia he’s so fond of the place. There’s also a more standard procedural thread to the story as the two cops investigating the Lakes Entrance death carry out routine interviews and begin to search for Miles. Though I didn’t particularly like one of these two characters they are both nicely drawn and their relationship is one of the stronger elements of the book, providing a mix of humour and drama. The plot, being somewhat far fetched in places, also has the feel of a thriller or boys’ own adventure. I do remember that the book had a very strong sense of place, both in Lakes Entrance and Seldom Seen (neither of which are fictional in case you’re wondering). I easily imagined myself in the coastal caravan park and then in the hills of the high country and it is clear the author knows these environments well. In this second spot in particular a collection of local characters are believably drawn and they take Miles into their hearts and help him temporarily evade police detection for a range of personal reasons. Overall I enjoyed the book’s mixture of light hearted whimsy and dramatic moments and found it easy to forgive the places where the plot was a little over the top or the internal logic was a bit off. It is definitely not a book that you have read a dozen versions of already and for that originality it scores extra marks. taken from the publisher’s website J.D. Cregan was born in a coastal tourist town in southern New South Wales, where his parents owned a caravan park. He was raised to the sound of the wind and the sea, and spent his early years surfing and fishing. Following a decade as a musician, playing support for bands like Men at Work and Mental as Anything, he moved to Western Australia, where he managed a drug rehab, a meditation centre, and a theatre company. He released his first novel, 98%pure, in 2005. He lives in Fremantle, Western Australia.